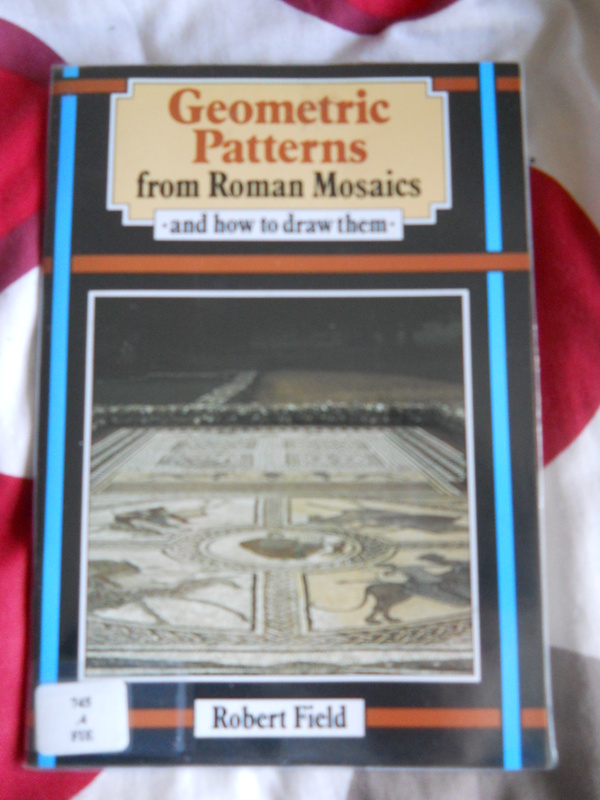 Whilst at work today I stumbled across a book that for me, could be ever so rather useful: Geometric patterns from Roman mosaics, and how to draw them by Robert Field. This book very much does exactly what it says on its the cover really, detailing a great number of geometric mosaic patterns and showing how to construct them. If you are planning on making a classical mosaic then this book really is a very useful tool for both inspiration of what to do and how to plan and execute it. It is certainly something that I’m going to use to help me explore more designs. However I must admit i remain partial to my favoured guilloche design. However brevity is the by word this week, I’ll hopefully have more time to blog later this month and a new mosaic in early June.